U.S. Senator Marco Rubio (R-FL) will deliver remarks on “US Policy Toward Asia” at 9:30 on Friday, January 24 in the auditorium at the Asan Institute for Policy Studies. The speech will be followed by a Q&A session. Please note: media wishing to film or record the event should contact (Ms) Kahye Oh at communications@asaninst.org. Marco Rubio was born in Miami, Florida to Cuban immigrants and quickly rose to political stardom, making TIME’s 100 Most Influential List. He entered politics in 2000, serving in the Florida House of Representatives until 2008. In 2010, he was elected to the U.S. Senate. He is a member of the Senate Foreign Relations Committee, where he is the Ranking Member of the Subcommittee on East Asian & Pacific Affairs; Member of the Senate Select Committee on Intelligence; and Co-Administrative Chairman of the Senate National Security Working Group. 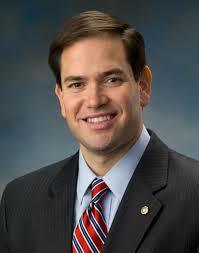 He is a graduate of the University of Florida and earned his J.D. from the University of Miami School of Law.